Ferran Segarra i Vives has been a potter in Miravet for 34 years. 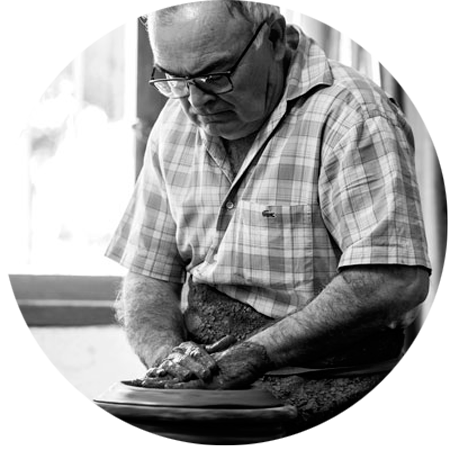 Now retired, he founded the Ceramiques Ferran, a family-run company that was taken over by Ferran, his old son. Miravet is a highly historical village of the Terres de l’Ebre, with a monumental Templar castle and famous for its “Raval de Canterers”, its Potter’s Borough, where families of potters still work today. Iberians, Romans and Moor have all left their art mark here. 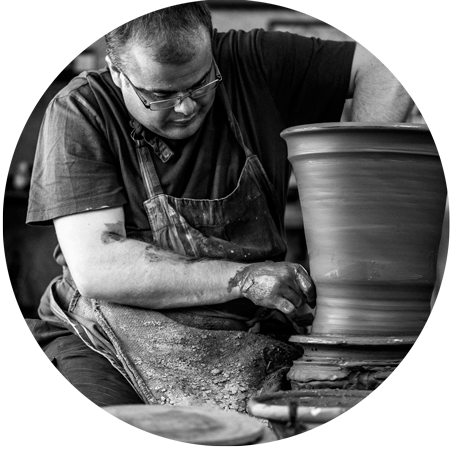 Ferran Segarra is actively involved in teaching his craft and in preserving traditional potteries of Miravet, such as faïence containers, jugs, oil-measuring pitchers, vases, popular catalan cooking terracotta dishes and oil jars. PYear after year, he gathered no less than 1000 antique ceramic items in his private museum located above the shop and opened to public upon request. The shop proposes a wide range of ceramics coming from everywhere in Spain; no doubt, you will find what you need there! Workshops and guided tours are also available. As he is fond of books, Ferran Segarra created a specialized library and participated in the writing of reference books on the potter profession: «Barro y fuego, alfarería aragonesa en basto» and «Del fuego al fuego, alfarería vidriada aragonesa».